AUD/USD continued its downside movement from 0.7235 and the fall extended to as low as 0.7115. Deeper decline to test 0.7100 support is still possible. 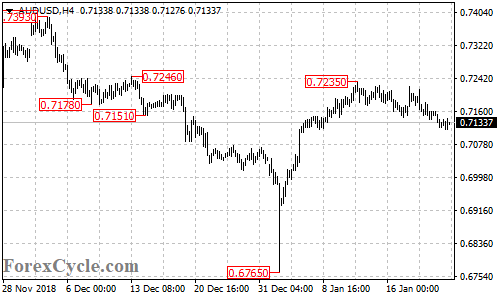 As long as this level holds, the downside movement could be treated as correction for the uptrend from 0.6765, a break of 0.7160 resistance could trigger another rise towards 0.7300.